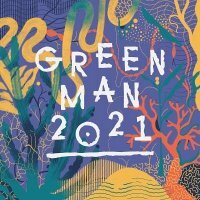 The first acts for 2009's instalment of the Green Man Festival have been confirmed as Grammy award-winning Wilco, American singer/ songwriter Bon Iver, San Francisco's Wooden Shjips, British Sea Power, Errors, Peggy Sue, Megson, Pivot, It's A Buffalo, She Keeps Bees, Golden Animals, 6 Day Riot, No Thee No Ess, Sound Carriers and Martin Carr. No less than 100 acts will be performing at this year's festival, which takes place in Brecon's Glanusk Park in Wales between Friday 21st and Sunday 23rd August. Weekend tickets cost £115 for adults, £99 for students and £50 for teenagers + booking - on sale now.